Any manager who has presided over 11 defeats in 16 league games would be under pressure and then their job is to somehow get the team out of the rut, and that;s what Alan Pardew has to do in the final four games of the season. 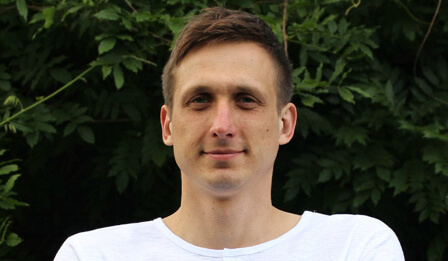 But with two of those games being at Arsenal and at Liverpool on the last day of the season, we see no way we can get anything out of those games, and just hope we on;t get hammered – although by the last game of the season we should have a fairly decent team with Mathieu Debuchy and Moussa Sissoko also back. We have to remember also that this was a season where Pardew was to prove himself after we had that nightmare last season when we were almost relegated for the second time in just four years. The first part of the season went very well – very much like when we finished 5th top in 2012, but it;s been an absolute disaster this year. “I don’t actually think the local media in the North East helped us this week. They whipped it up for whatever reason. I know one or two have been banned from the stadium and they probably use that as a bit of an agenda. “Which is a bit of shame for us because we want them to support us.” When the matter of the fans’ frustrations was raised, Pardew, to be fair, did not try to hide from the fact the support have turned on him. “That is a tough spell to have as Newcastle manager. The frustration, I understand.” “I can only do the best job I can with the group, and I’m honestly trying to do that. We have no idea what Mike Ashley is thinking at the moment, but the manager has to get some points on the board out of these final four games of the season, and it’s obvious that for whatever reason – he is simply not getting the best out of the players available. And there have been reports of dressing room unrest, but it’s not clear how bad they have been, and after all it’s hardly going to be a happy place, when you lose five of six games and score only one goal. In fact in that sense it’s good if the players are unhappy and frustrated in the dressing room – we wouldn’t want them to be any other way, under these horrible circumstances. We need a win on Saturday to clam things down a bit. Pardew does not know how to play wingers. He Pardews them by having them track back more than attack..
As pointed out by the Journal, the interesting thing is that Colo was totally blunt about the teams performance at the w/e, saying it was no better than recent games, whereas Pardew was suggesting we weren’t bad. And there is the rumour of verbals from Colo after the game. 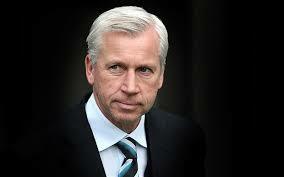 We need change, but only if he is a better manager than Pardew. I doubt any of our players are capable of hurting any team on the break,to do that you need pace & guess what……….WE DON’T HAVE PACE. I know the fan’s are unhappy?!! bit slow on the uptake there old son! even worse for you mate is the players are too and they’ve lost all faith pretty much like the fans too. I’m sure I read that statement a few days ago ! Shots fired, perhaps the club shouldn’t have banned the local press for something as small as covering a protest, which they support themselves. Funny as the chronicle and lee ryder where one of pardews biggest supporters. I hope colo speaks out some more, he knows he’s off, if he would be kind enough to expose pardew as the chancer he is to the wider media it would be greatly appreciated. Do one final great thing for the club colo ! Twitterland reporting Armstrong gets a debut start against the swans. Dream debut or Panicky Pards? Hmmm..
How can Pardew not be safe? He has a stupidly long contract in his favour and despite various infractions such as pushing a linesman and headbutting an opposition player, he is still in office. Even if he was to go, do we really expect Mr Ashley or Mr Charnley to go the extra mile and appoint a manager capable of getting the team to play decent attacking football whilst working with a miniscule budget. I can’t see any foreseeable changes to our coaching staff unless we (and it could be a possibility) get relegated next season.